It's half the size of the iPad, but the Nexus 7 may be its best challenger yet. 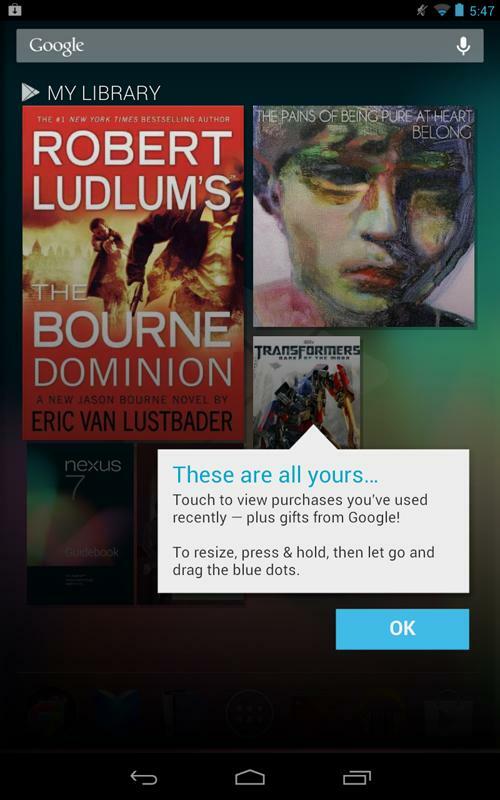 The Nexus 7 is Google’s boldest attempt yet to create a hit Android product of its own. It’s also a blatant attempt to capture the massive popularity of small 7-inch tablets like the Kindle Fire and Nook Tablet, which have been some of the only tablets to sell well outside of the iPad. To do battle in the small space, Google has pulled out all the stops. 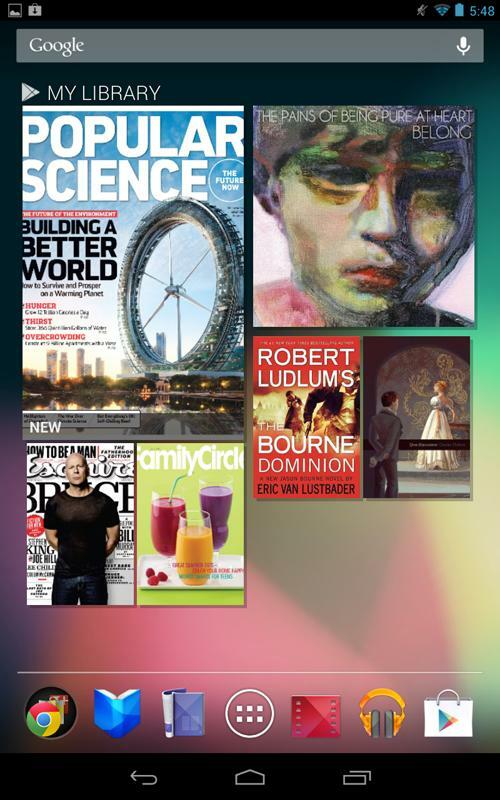 The Nexus 7 runs on a brand new version of Android, has industry-leading processing power, and comes with a bunch of free Google Play content to watch, read, and buy. Find out how the full package performs below. There are upsides and downsides to a tablet with a 7-inch screen. It’s roughly half the size of an iPad, which makes a lot of complex apps or Web pages more difficult to use, but Google and manufacturer Asus have made the tablet slim enough that it will actually fit in a front pocket of most men’s jeans. Granted, it isn’t comfortable in your pocket, but it still offers a level of portability impossible with a 9.7-inch iPad. Design-wise, the Nexus 7 is somewhat plain and slabby, like most tablets, but it has a firm feel to it. It looks and feels nicer in your hands (the back is rubberized) than almost any other 7-inch tablet, and many larger ones as well. The power and volume buttons are easy to reach, and while the single rear speaker produces nowhere near as good of sound as the iPad, it holds its own against most Android tablets. Like the Kindle Fire, the side bezel is also about half the thickness of many tablets, making it rather svelte and portable, even against other 7-inch devices. The high resolution IPS LCD screen (1280 x 800 pixels) looks comparable enough to the Retina display on the iPad – bright, colorful, responsive – and it’s covered in Gorilla Glass, which makes it quite durable and scratch proof. We’ve had no issues with fingerprints either. Overall, the Nexus 7 looks and feels better than any tablets in its price range, if not almost any small tablet competitor, period. It also fits in your pocket, which is nice. 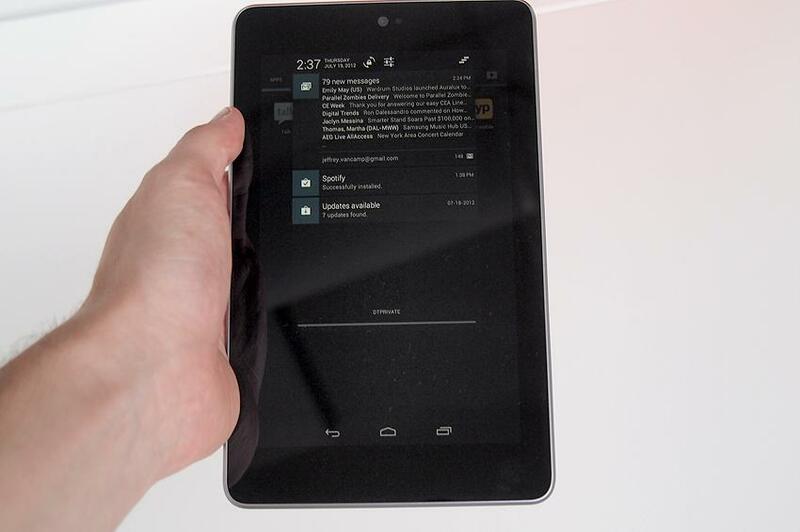 We aren’t usually big fans of the 7-inch screen size on Android tablets. They’re usually too small and the screen resolution is too low to allow you to get much done. On the Nook Tablet and Kindle Fire, the size (mostly) works, due to completely custom interfaces and apps, but they were exceptions. With the Nexus 7, Google gets the rest of the Android ecosystem up to speed with Android 4.1 Jelly Bean. This new, enhanced version of Android for the Nexus 7 has an interface that is leagues better than the design of previous Android tablets. 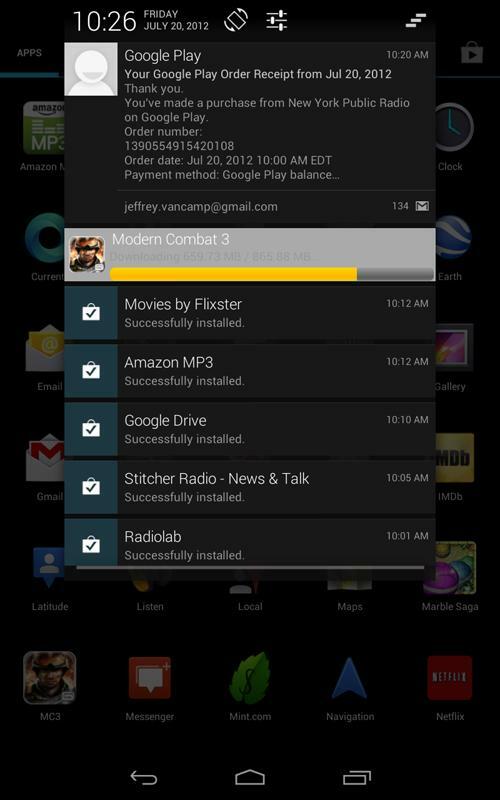 At least on this device, Jelly Bean has been modified to look more like an Android phone. The change puts it more in line with the iPad’s interface, making the whole device much easier to pick up and understand than previous Android tablet interfaces, which had a strange Pop-out clock menu in the lower right (Android 4.1 on a larger tablet still looks like this). Though we wish the new homescreen wasn’t locked in a portrait orientation, everything else about it is a step up for Android and a step closer to Apple’s pleasant tablet interface. To access apps, you now simply press the big app button. To see notifications (which have been enhanced and expanded) you pull them down from the top of the screen – just like on your phone. It’s simple and it works. Our chief problem with Android on tablets has been the lack of quality tablet apps for Android. There are a few dozen decent ones, compared to hundreds of thousands on the iPad. Smartly, the small size and new portrait orientation of the Nexus 7 renders this problem mostly obsolete. Apps that have tablet functionality will look great, but because of the small size of the Nexus 7 (and what appears to be some tweaking by Google), Android phone apps look and perform naturally. Newer apps like Flipboard don’t have the detail of their iPad counterparts, but they work. Google still needs developers to make a lot more tablet apps, but it has bought itself some time with the Nexus 7. 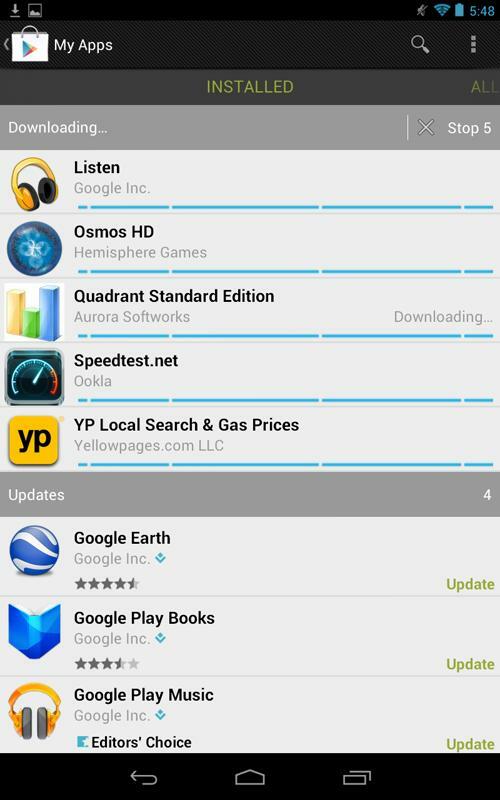 You should be able to find most apps you need in the Google Play Store. If you desire, Google will sell you music, movies, books, and magazines itself as well, though we think there are better services available for download. Overall, the Nexus 7 works and operates far smoother and better than previous Android tablets and thanks to its small size, you can more easily run Android phone apps on it without them looking terrible or stretched out. It’s a more pleasant and complete experience than the Kindle Fire or Nook Tablet. If you’ve read anything about Android 4.1, you’ve likely heard of Google Now. It’s Google’s answer to Siri, but we’ve found it to be more of a robust and more useful version of Google search. We’ve never used Android’s built-in search much, but now the Google app will answer questions and one-up Siri by actually predicting what you might want to know about. If you choose to let Google have access to your location and other data, it will begin to monitor your habits and proactively tell you things like the weather, new sports scores you may want to know about, subway train delays or traffic on your usual route home, restaurants you may want to check out for lunch, and many other things. 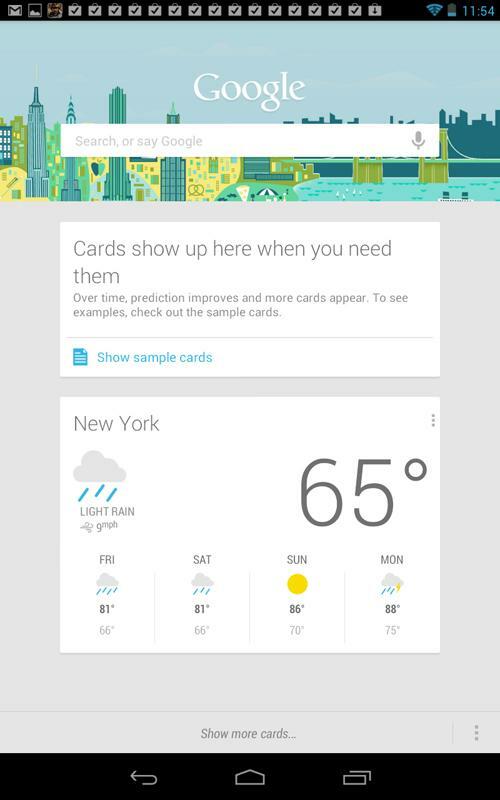 We have only just begun to use Google Now, but we like what we see. Google has stepped it up with this service, finally delivering search that works on a tablet. You can fully control what information Google will and has collected about you as well. Very cool! Though it costs only $200, the Nexus 7 delivers specs and processing power that rival tablets in the $400 to $700 range. It runs on a 1.3GHz quad-core Nvidia Tegra 3 processor, has 1GB of RAM, 8GB of internal flash storage (16GB available for an extra $50), a 7-inch 1280 x 800 pixel IPS LCD screen (216 pixels per inch, which is only slightly under the iPad’s 264ppi Retina display), and a 1.2-megapixel front-facing camera. There is no microSD, but it does charge via Micro USB and has Bluetooth, NFC, and connects to the Internet via Wi-Fi only (no 4G option). A microphone, rear speaker, accelerometer, GPS, magnetometer, and gyroscope are also present. The Nexus 7 performed well when we played graphically intense games like Modern Combat and ran the Netflix app better than any Android tablet we’ve ever used (its unusable on most tablets). In the Quadrant benchmarking test, it achieved a score of 3,500. This is short of the 5,000 new phones like the Galaxy S3 achieve, but better than most other small tablets. For the size and price, this packs a lot of power. The Nexus 7 does not have a rear camera, not that tablets truly need one. The front-facing camera is 1.2 megapixels and performs well enough in video chats over Skype or other services. The Nexus 7 gets average battery life, but good for its size. It has a 4,325mAh battery, and Google claims it can get 9 hours of video playback and 10 hours of Web browsing or e-reading. We estimate we’ve gotten between 8 and 9 hours so far. On our current charge, the Nexus 7 has been running for nearly two days and it’s at 33 percent. We’ve used it a fair amount and downloaded about 30 apps so far. The number one battery killer, as usual, is the screen, which is sucking up about 80 percent of the tablet’s power. So no: The Nexus 7 doesn’t revolutionize battery life, but it meets the standard 8 to 10 hours of competing tablets. The Nexus 7 is the best 7-inch tablet we’ve ever used, by far, a good step forward for Android, and ticks in at an affordable $200, despite having the processing power and amenities of a tablet twice that price. We’re also big fans of Google Now, which finally makes Google search usable on a tablet and tries to enhance your day by feeding relevant information to you. 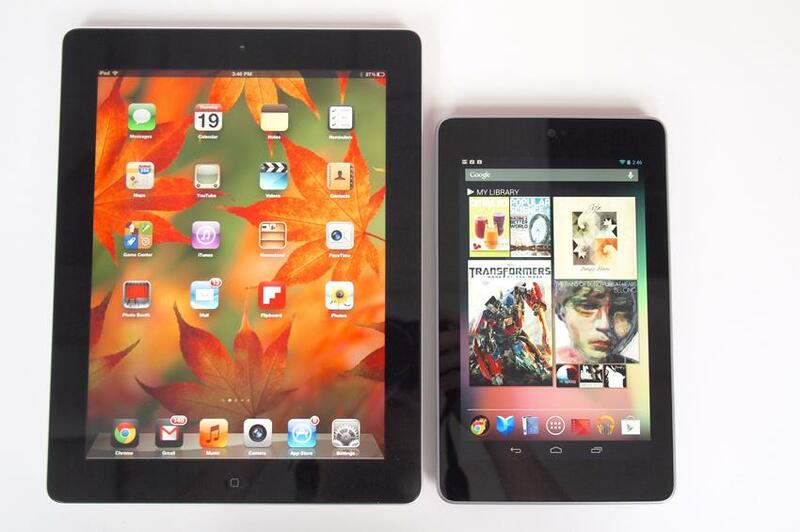 It’s half the size of the iPad, but the Nexus 7 may be its best challenger yet.